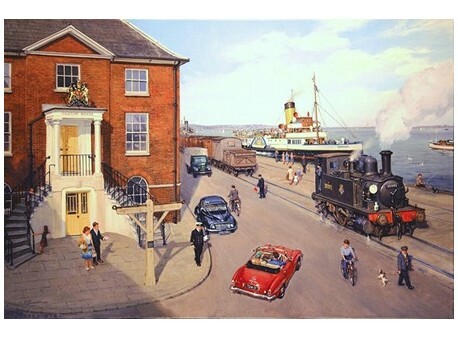 “Memories of Poole Quay” Print size is approx 22”x16” limited to 250 prints, numbered and signed by the artist. 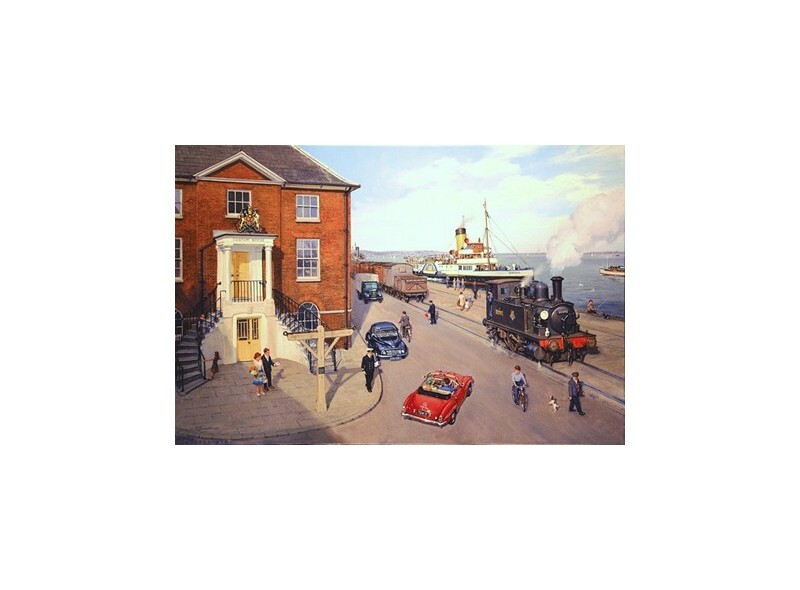 This lovely time piece depicts Poole Quay in 1960, little 0-4-0 tank engine 30093 is seen on shunting duties along the quay where the road traffic and steam engine share the same harbourside. The shunter has his red flag at the ready in case of an emergency. “Embassy” the paddle steamer is pulling away with her day trippers to Brownsea Island, and the local customs officer is keeping a watch on proceedings after coming down the steps from the customs house.